The scope of variables is where we can access the variables. By assigning value to a new variable name we create that variable. 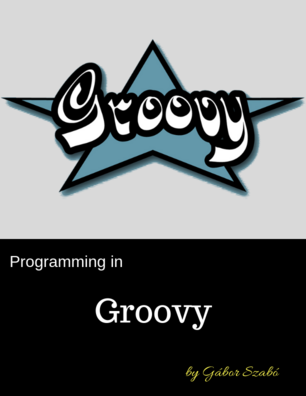 Groovy does not require any special syntax or keyword to declare a variable. If we access the same variable name within a function (either reading it with println in this case or writing it when we assign a new value to it), we access the same global variable. We don't need the first global definition. If we assign a value to a variable inside a function, it will create a global variable that will remain in scope even after the function has finished running. We can use the def keyword to declare a variable local. In the first example we can see that there is a global variable (which was not declared using def) which is then accessible inside the function (println) just as we saw in the first example. Once we use the def keyword to declare the same variable name inside the function it creates a new variable, hiding the global one. Once we exit the function the local version is destroyed and outside the function we access the global variable again. The best option is when you declare your variables both inside and outside of functions using the def keyword. That makes it clear both to Groovy and to the reader that your intention was to create locally scoped variables. Shall we use global or local variables? Global variables might make it easy to write the first version of the program, but then, as the program grows it becomes harder and harder to maintain it. Not a recommended practice. You are much better off working a bit harder and always declaring your variables in every scope. Some languages (most notably Perl) would create a scope for every block - for every pair of curly braces. This is not the case in Groovy. @ line 6, column 9. On the other hand you can declare variables inside a block (but apparently only if they did not exist outsdide the block) and they will cease to exist at the end of the block. This example prints the 12 and then when it tries to access the variable outside of the block it will raise an exception.